Businesses are living in the age of relationship marketing. All interactions by business are “designed to foster customer loyalty, interaction and long-term engagement.” For retail establishments, these interactions might be nurtured through such strategies such as targeted communications, email, or variable data printing. Excellent customer service is required of all employees. They must provide useful information to demonstrate expertise in order to differentiate them from the competition. 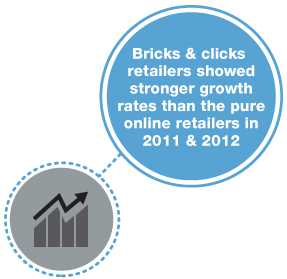 Certainly technology helps retail businesses support this dynamic. Analytic tools aid businesses to be more informed, more predictive, and more responsive to customer wants and needs. Even more than social, mobile, or display, consumers are “more likely to purchase when a brand personalizes digital communication.” But even while retail businesses rightfully embrace technological tools such as personalized mass email, there is no greater measure of deepening customer confidence than receiving an email from an actual associate. Because email is a becoming the dominant method of communicating, it is critical that retail sales associates also have the tools to build, foster, and personalize this aspect of relationship marketing. One type of investment that brick and mortar stores must make is to give their trusted employees access to email. All retail employees should satisfy an element of customer service. This can be done through the use of an email tool that is dedicated to customer communication and overseen by the store manager or corporate administrator. Which employee should have email access to an email solution with management oversight such as Climb Technology’s Communicate&Convert email and quote generating tools? Well, that’s for the store manager and corporate guidelines to determine. However, trusted, dedicated, knowledgeable employees are easily determined. According to the Bureau of Labor Statistics, as of January 2012 the average Retail Trade employee had a 3.3 “median years of tenure with (their) current employer.” Having over three years of employment is surely more than enough time for store management to determine an associate’s loyalty, as well as their procedural knowledge. Next is to give the trusted associates access to the communications tool to which customers are so demonstrably responsive. Businesses can easily deploy personalized e-mail using Communicate&Convert. Its use will help build meaningful relationships with customers. By using e-mail, multi-channel marketers will continue to successfully leverage the human element of their retail stores to further customer engagement. This engagement will demonstrate product expertise, personalize the experience, and increase sales in a way that internet-only sites cannot.